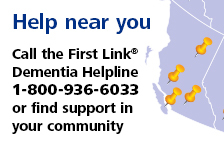 Victoria - 2017 | Alzheimer Society of B.C. On Thursday February 2, 165 people gathered at the Fairmont Empress Hotel to raise $43,595 in support of the Alzheimer Society of B.C. Guests heard from keynote speaker Dr. Brendan Carr, President and Chief Executive Officer, Island Health and guest speaker Dr. Holly Tuokko, Professor in the Department of Psychology and a research affiliate of the Institute on Aging & Lifelong Health at the University of Victoria.